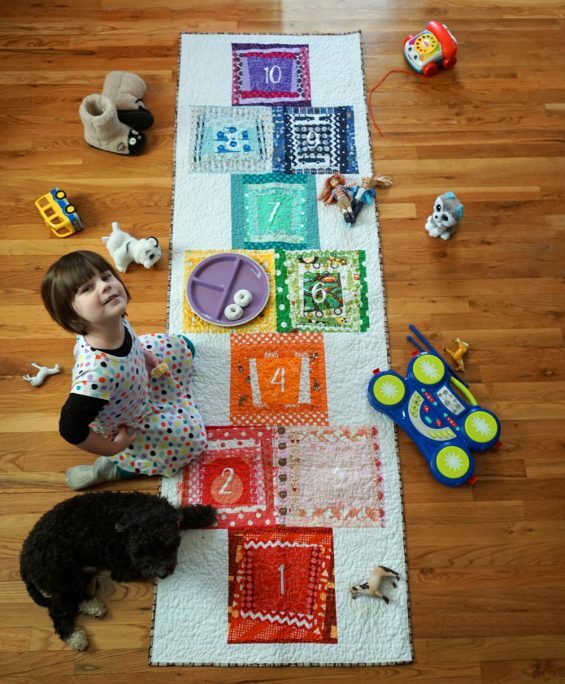 My Hopscotch Mat Pattern Is Out Now in Make Modern! Woohoo! I’m so excited to finally announce this one. I made this quilt about a year ago, and now I can share it! It’s in Issue 15 of the Australian digital magazine Make Modern. I love that magazine (check out their Instagram, too, @makemodernmagazine–it’s gorgeous). And I’m so proud to actually be in it! I Have Another Published Quilt! Yay! 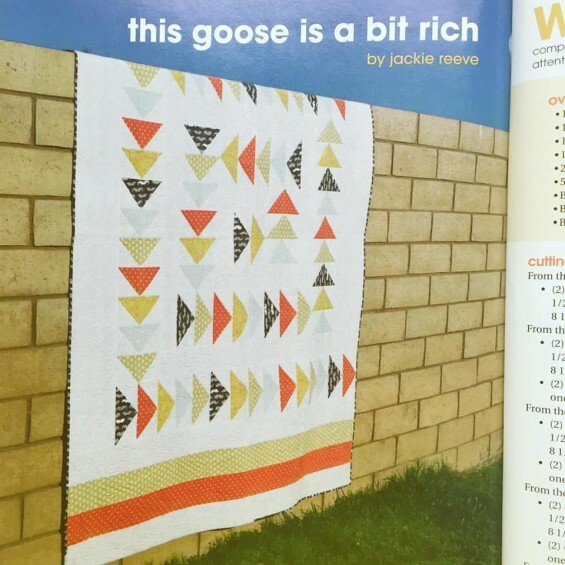 In the September/October of Generation Q I have a new quilt I designed called “This Goose Is a Bit Rich.” I love this one. It took me a while to make, and my wonderful friend Rachael Dorr did the quilting. She’s incredible. My First Published Quilt Design Is Out Now!!! Squeeee!!!! Back in May, I sent off a quilt to Generation Q magazine for publication. I’d been working with them for a few months before that, sending sketches and ideas. 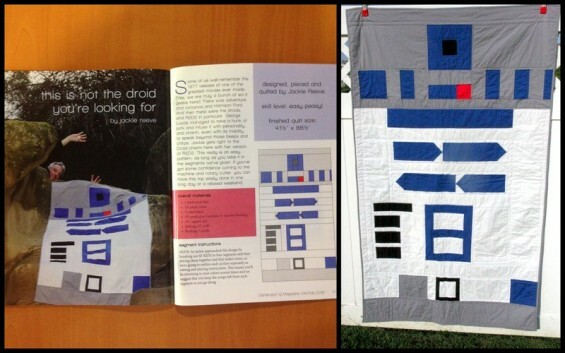 They picked a sketch of this R2D2 quilt I’d just doodled for fun, and suddenly I found myself actually making my first quilt to be published in a mag. And not just any quilt, but a geeky Star Wars quilt. I am so in love with how this design came out, and I’ve had to keep my lips sealed about it for almost 8 months now. That was haaaaard. But now I can talk about it nonstop, all day long.